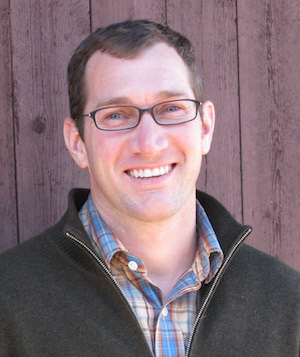 ESSEX – Centerbrook Architects & Planners has announced that Daniel Batt, AIA, LEED AP has been promoted to associate. A graduate of Miami University in Ohio and the Rhode Island School of Design, Batt is just shy of 10 years with Centerbrook. His diverse résumé includes having served as the project manager for built projects such as the expansion of the Eugene O’Neill Theater Center and the new Red Barn at Mitchell College. Batt, a Deep River resident, is currently the project manager for Rocky Corner, Connecticut’s first cohousing development that is now under construction. He is also managing a project currently in planning for The Basilica of St. John the Evangelist in downtown Stamford. Centerbrook also announced that its architectural staff is now 90-percent licensed with David Peterson most recently passing the Architect Registration Examination. The other latest licensees on the design staff include Aaron Emma, Hugo Fenaux, Anna Shakun and Aaron Trahan. Centerbrook Architects & Planners is a firm conceived in 1975 as a community of architects working together to advance American place-making and the craft of building. A collaborative firm with an exceptional history of building, Centerbrook is known for inventive design solutions that are emblematic of its client and their traditions. Centerbrook’s designs have won 380 awards, including the Architecture Firm Award, a distinction held by only 36 active firms nationwide. Centerbrook is currently designing for clients in seven states, Canada and China. 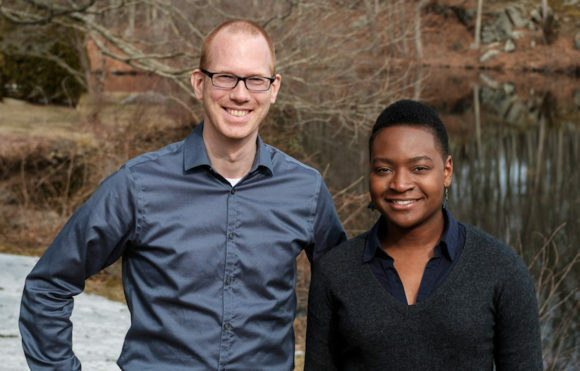 CENTERBROOK – Centerbrook Architects & Planners is excited to announce two new hires as it has welcomed Cassie Archer and René Brakels to the architectural staff. Archer, who grew up in Nigeria and England, comes to Centerbrook from Kenneth Boroson Architects in New Haven, Connecticut, where she was a senior job captain. After graduating from Wentworth Institute of Technology in 2012 with a bachelor’s degree in architecture, Archer began her career as a designer in California. She now resides in East Haddam with her husband. Brakels joins Centerbrook with a diverse background of 15 years in the architecture industry that includes positions in his home country The Netherlands, Ireland, Latvia and New York. Most recently he served as a job captain at RGB Architects in Providence, Rhode Island. Brakels earned bachelor’s and master’s degrees in architecture in The Netherlands, where he is a licensed architect. Brakels and his family currently live in Mystic. Both Archer and Brakels joined Centerbrook in February and have hit the ground running on Quinnipiac University projects. 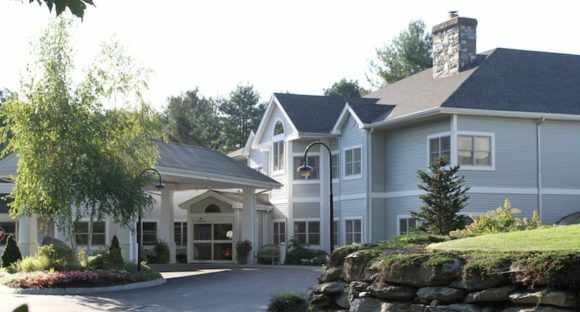 Centerbrook currently has designs under construction in Connecticut, Florida, North Carolina, New York and Texas, and active projects in seven states, Canada and China. Centerbrook Architects & Planners is a firm conceived in 1975 as a community of architects working together to advance American place-making and the craft of building. A collaborative firm with an exceptional history of building, Centerbrook is known for inventive design solutions that are emblematic of its client and their traditions. Centerbrook’s designs have won 380 awards, including the Architecture Firm Award, a distinction held by only 36 active firms nationwide. 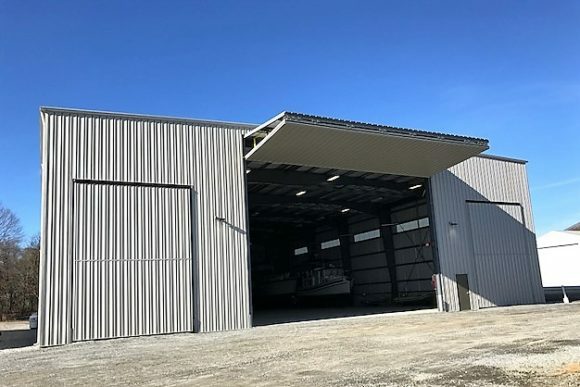 Heated Boat Storage Facility Now Open at Chester Point Marina, CT.
CHESTER – Over the past five years, the marina industry has been sailing along with increased revenue growth and rising profit. While most marinas cater to small boats and recreational boaters, Chester Point Marina is now providing heated storage for larger yachts with their newly completed 15,000-sq. ft. boat storage facility. The largest of its kind on the Connecticut River, this storage facility is 150’ deep. Pelletier Construction Management joined by Butler Manufacturing designed the facility that met the needs of the marina and their customers. The new facility is designed to enable boat travel lifts to enter and store full- size yachts within the new structure. The innovative pile-supported new design was engineered to withstand hurricane force wind loads and associated potential storm surge. The demand for boat storage has increased due to rising disposable income, recreational expenditures and the number of boat owners. Customers are invited to attend a grand reopening celebration from 11 a.m. to 5 p.m. Saturday, Nov. 11. There will be activities for kids, hot dogs and customer giveaways. Walmart is committed to serving Old Saybrook and in celebration of the grand reopening will support the following local organizations through a combined $3,000 in grants to: Old Saybrook Senior Housing, Westbrook High School and Old Saybrook Police Department. Haynes Materials of Deep River is Hiring! DEEP RIVER — Haynes Materials of Deep River is actively looking for Inside Sales Associates and Yard Associates. All the relevant information is on their website at www.GoHaynes.com. Interested parties can apply directly through the website or by sending a resume to mroy@haynes-group.com. 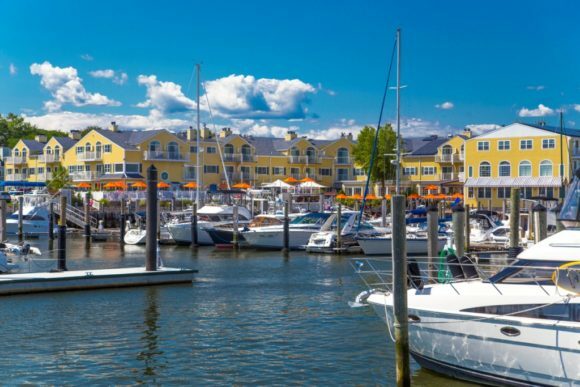 OLD SAYBROOK — Comcast Business today announced that Saybrook Point Inn, a luxury Connecticut inn featuring elegant accommodations, fine dining and premier spa services, is using Comcast Business Ethernet, Internet, Phone and Video offerings to provide guests with high-quality technology services as well as improve inn operations. Gathered for a photo during the visit are (from left to right) Debra Wallis, CFO, Roto Frank of America; Lauren Gister, Chester First Selectwoman; Chris Dimou, President and CEO, Roto Frank of America; Carolynn Linn, Chester Selectwoman and Erik Ostby, Plant Manager. CHESTER — Helping residents from local communities find gainful employment and finding skilled workers for open manufacturing positions was the focus of a visit on Oct. 4 from Lauren Gister, Chester First Selectwoman and Carolynn Linn, Chester Selectwoman, to Roto Frank of America, Inc. The visit included a meeting with Chris Dimou, Roto Frank of America President and CEO; Debra Wallis, CFO and a tour of the Chester manufacturing plant conducted by Erik Ostby, Plant Manager. 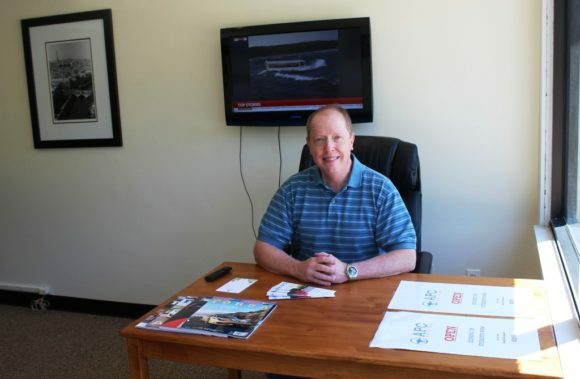 As Roto Frank of America continues to thrive and grow, the challenge of finding skilled workers increases accordingly. The mutually beneficial solution lies in creating a greater awareness of Roto Frank’s role in the economic community and working collaboratively to attract and retain workers from Chester and the surrounding communities. “Working with the Chester community helps in two ways. It creates an awareness of job opportunities at Roto Frank of America and helps us fill key positions as we continue grow,” said Chris Dimou. Founded in 1979, Roto Frank of America, Inc. is a Chester, Connecticut-based manufacturer of window and door hardware. Roto Frank of America is a wholly owned subsidiary of Roto Frank AG, a global company headquartered in Germany, with 17 production plants and 40 subsidiaries worldwide. Roto Frank of America offers solutions for North American and European hardware applications, has an extensive product line including its renowned X-DRIVE™ casement and awning window systems, sash locks, window-opening-control-devices, sliding patio door systems, and European window and door hardware, among others. For more information please visit www.rotohardware.com. The response bid must include a provision that a representative of the HMC may be present at the time of installation. The Commission hereby notifies all response bidders that payment is made one-half after pulling and one-half after the reinstallation. Payment will be made within 30 days of receipt of the invoice. Removal of markers and floats to be accomplished after November 15, 2016. Re-setting must be accomplished prior to April 15, 2017, but not earlier than March 15, 2017. Dates to be adjusted in concert with the HMC and the Harbor Master. Marker position in accordance with GPS points maintained by HMC. 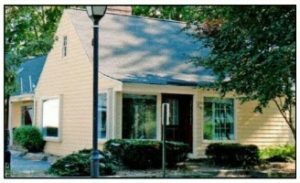 All bids are due to HMC no later than 4:00 p.m. on September 22, 2016 at the First Selectman’s office. Shoppers at the Adams Hometown Market in Deep River gave generously to The Great American Milk Drive. Photo by Jerome Wilson. By donating $1, $3 or $5, or rounding up their change at the register, shoppers raised $12,232 for milk vouchers. Shipman said it was the most successful Milk Drive yet for the food bank. Shoppers at the 12 participating stores have donated more than $25,000 since 2014. Milk is one of the most requested items at food pantries, Shipman said, but it is difficult for people to obtain. “Many of our participating programs have limited refrigeration, so keeping a supply of milk is difficult, but it’s sought after by many people who need help with basic food needs.” Shipman said that many people who visit food pantries may only be able to access one gallon of milk per person in a year. By providing vouchers for people visiting food banks, we can ease some of the transportation and refrigeration barriers and make milk a more regular part of people’s diets,” Shipman said. The drive was part of a national program aimed at providing sought-after and highly nutritious gallons of milk to people in need. 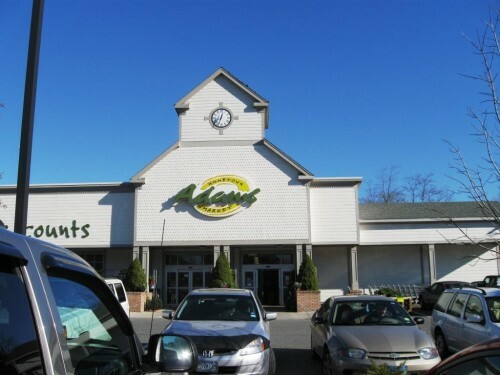 This local drive included the New England Dairy Promotion Board’s Must Be the Milk program, Guida’s Dairy, and the dairy farm families of Connecticut. The milk drive was conducted at 12 Adams Hometown Market, Better Valu, and Tri Town Foods locations. 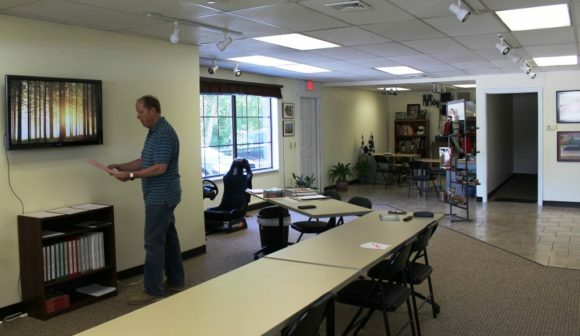 Connecticut River Artisans new home will be at 55 Main St. in Essex. ESSEX — Connecticut River Artisans are moving from Chester to Essex. They have closed their Chester shop and now reopened at their new location at 55 Main St., Essex. Summer hours are Monday – Saturday from 10 a.m. to 5 p.m. and Sundays, 10 a.m. to 4 p.m. Call for seasonal hours. For more information, visit ctriverartisans.org or call 860.767.5457. ESSEX – Anne Procyk, ND is pleased to announce that Gwenn Rosenberg, ND has joined her practice and will be working with patients at Third Stone Integrative Health Center, located at 3 Wildwood Medical Center in Essex. 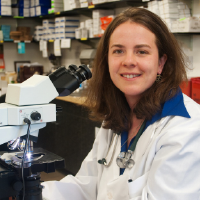 Dr. Rosenberg earned her medical degree from the National College of Natural Medicine and completed her residency with Bastyr University. 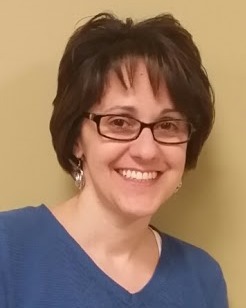 She also attained additional training in Holistic Pelvic Care with Tami Kent MSPT and training in pelvic floor physical therapy with the Herman & Wallace Pelvic Rehabilitation Institute after witnessing multiple women with pelvic pain that did not improve with surgery or pharmaceutical intervention. 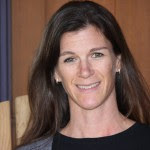 She has worked in multiple capacities in the healthcare field for 11 years and as a naturopathic physician for three years. “My approach is empathetic and non-judgmental. I see myself as a guide who empowers individuals to become active decision-makers in their own care,” said Dr. Rosenberg. Third Stone Integrative Health Center is a naturopathic medical practice providing health and wellness services, where the doctor and the patient work together as a team to develop a comprehensive, personalized treatment plan to help patients make better choices regarding their health. 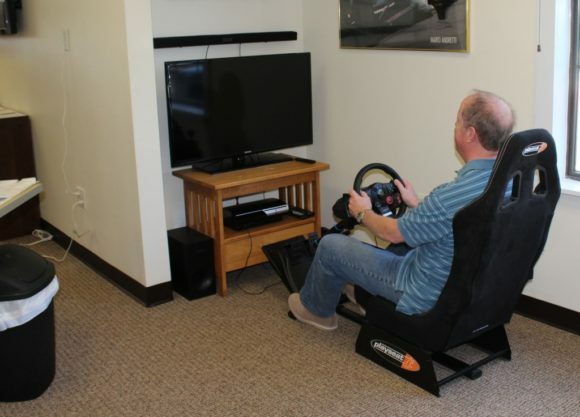 The doctors help patients navigate all options and determine the most effective and efficient course of action. For more information on the practice, or to schedule an appointment with Dr. Ann Procyk or Dr. Gwenn Rosenberg, call 860.661.4662 or visit www.thirdstonehealth.com. 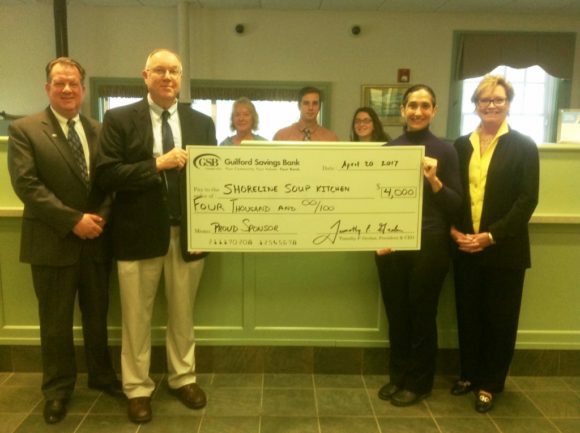 ESSEX – Results from Essex Savings Bank’s customers recent voting in the Bank’s Community Investment Program were announced at a meeting of employees, directors and trustees at the Bank’s Plains Road Office on April 12. According to Thomas Lindner, Vice President and Community Relations Officer for Essex Savings Bank, 7,206 votes were cast this year for a total of $33,001. The non-profits that received the top 10 number of votes were in attendance for special recognition. They are, in order: Shoreline Soup Kitchens & Pantries, Forgotten Felines, High Hopes Therapeutic Riding, Valley Shore Animal Welfare League, Old Saybrook Fire Company Number One, Bikes for Kids, Dog Days Adoption Events, Essex Fire Engine Company Number 1, Tait’s Every Animal Matters (TEAM) and Pet Connections. See full results here. The customer balloting portion of Essex Savings Bank’s 2016 Community Investment Program began on Feb. 1 and concluded on Feb. 29. The program entitled the bank’s customers to select up to three charities from this year’s list of 80 qualified non-profit organizations. Fund allocations are awarded based on the results of these votes. The Coldwell Banker Residential Brokerage Essex office recently presented a $1,000 donation to the Essex Department of Social Services. Pictured from left are Marguerite Mattison, a Coldwell Banker sales associate; Mary Ellen Barnes of the Essex Department of Social Services; and Rick Greene, Peter DePatie and Joel Lucas, all Coldwell Banker sales associates. 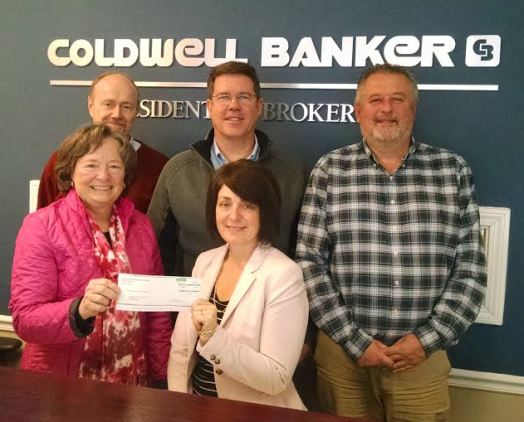 ESSEX – The Coldwell Banker Residential Brokerage office in Essex recently made a $1,000 donation to the Essex Department of Social Services through the company’s charitable foundation, Coldwell Banker Residential Brokerage Cares Foundation. The Department of Social Services strives to enhance the quality of life of Essex residents through support in meeting basic human needs and promoting services that foster self-sufficiency and economic independence. “Through the generous contributions of the affiliated sales associates and employees of the Coldwell Banker Residential Brokerage Essex office, we are able to make charitable donations to organizations and agencies that assist some of our community’s most vulnerable residents. 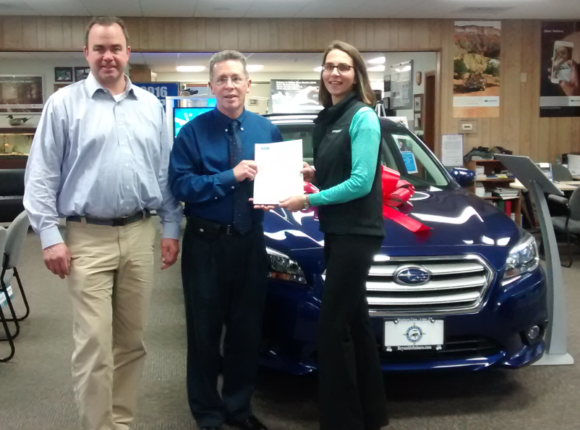 We are proud to support our neighbors who are facing hardships,” said Jeanne Rutigliano, sales manager of the office. The Coldwell Banker Residential Brokerage Cares Foundation is supported by the affiliated sales associates and staff of Coldwell Banker Residential Brokerage. The foundation’s primary purpose is to raise funds to provide financial assistance to housing-related causes in the communities where the company has a presence. For more information, visit ColdwellBankerHomes.com. AREAWIDE – The number of coworking spaces has increased over 400 percent in the last two years. Coworking is redefining the way we work. Over 20 million Americans work from home, including 90 percent of all freelancers. Coworking provides a more affordable workspace for those just starting a business, or those who work independently, such as solopreneurs and freelancers. 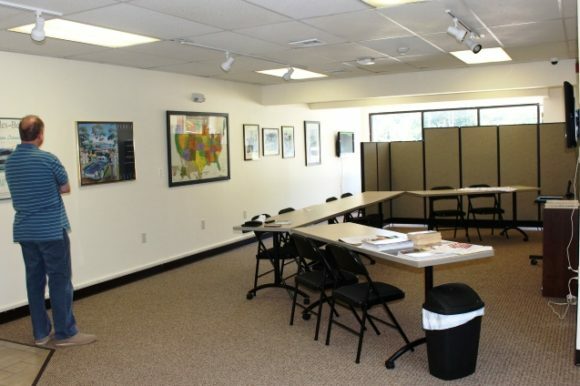 Not only offering “office space,” coworking offers amenities such as internet access, as-needed workspace, private space for meetings and small conferences, and a location for community programs and shared learning experiences. 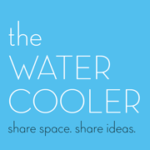 To serve businesses, entrepreneurs and freelancers in the towns located in the lower Connecticut River Valley and across the Connecticut shoreline, the Watercooler Coworking Community is being built. 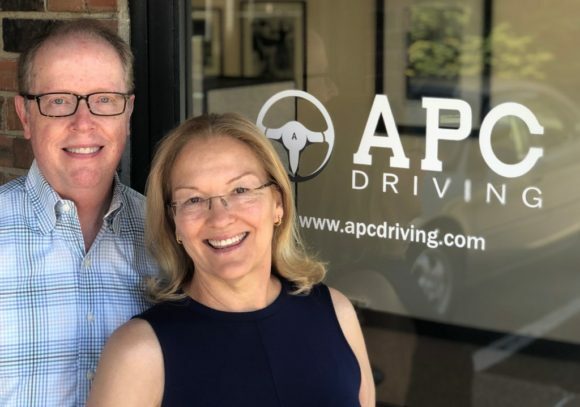 Local entrepreneurs, solopreneurs and freelancers are encouraged to attend an informational evening on Tuesday, April 26, from 6:30 to 8 p.m., at the Acton Public Library, 60 Old Boston Post Rd., Old Saybrook. The purpose of the evening is to bring together coworkers, share ideas and begin to shape the structure of the collaborative workspace. Local economic development professionals and chamber of commerce professionals are also encouraged to attend. 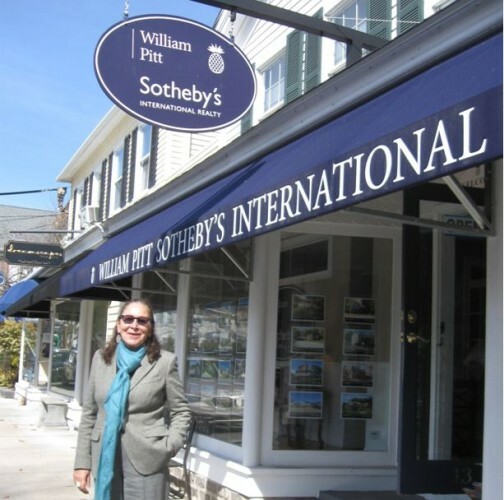 OLD SAYBROOK – The Katharine Hepburn Cultural Arts Center, Inc. (The Kate) has announced a generous annual corporate sponsorship from Gowrie Group. The sponsorship enables the Kate to continue to develop unique and diverse productions, as it enters into its seventh year of operations as a nonprofit performing arts organization. 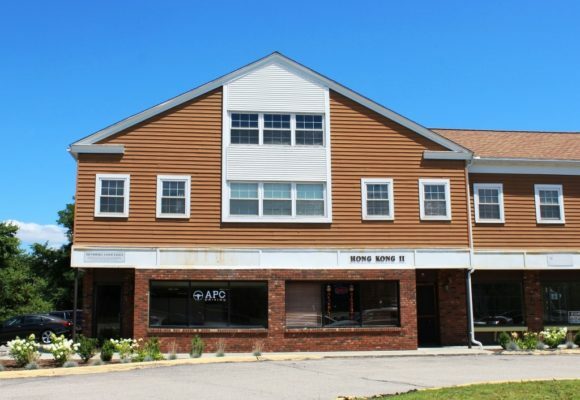 The Gowrie Group, one of the nation’s Top 50 independent insurance agencies, is located in Westbrook, along with several offices in other New England states. 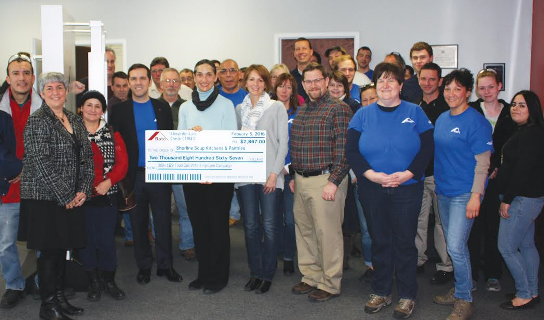 AREAWIDE – On Feb. 5, Roto Frank of America, Inc. presented a check for $2,867 to the Shoreline Soup Kitchens and Pantries. The presentation was made on behalf of the Roto Frank of America employees by Chris Dimou, President & CEO of Roto Frank of America, Inc., and Sue LeMire, HR/General Accounting Manager of Roto Frank of America, Inc., to representatives of the Shoreline Soup Kitchens and Pantries, including Board of Directors member Reverend Dr. Jonathan Folts, Executive Director Patty Dowling, and Director of Development and Outreach Claire Bellerjeau. The funds were raised during an employee campaign that ran from February to December 2015, during which employees voluntarily elected to make donations via payroll deduction, as well as supporting a variety of fundraising events. Roto Frank employees also collected and donated more than 300 pounds of canned good and pasta. “It’s a great feeling to know that the funds we raised will provide enough food for more than 7,350 meals,“ said Sue LeMire. “We’re pleased to be able to help out a local organization that does such fantastic work for the shoreline communities,” said Chris Dimou. 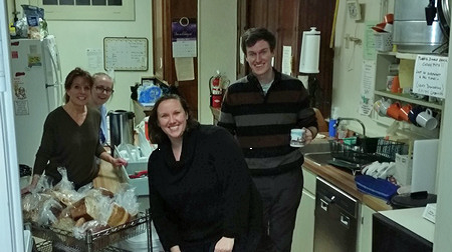 Based in Essex, the Shoreline Soup Kitchens and Pantries provides food for families in need through its pantries located in Old Saybrook, Westbrook, Clinton, Old Lyme and East Lyme and meal sites in Centerbrook, Essex, Deep River, Chester, Old Saybrook, Westbrook, Clinton, and Old Lyme. 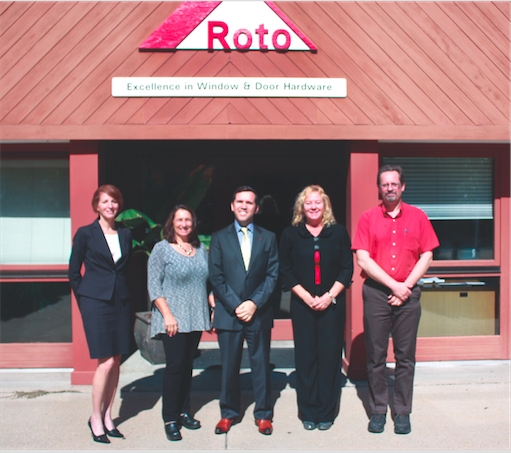 Founded in 1979, Roto Frank of America, Inc. is a Chester-based manufacturer of window and door hardware. Roto Frank of America is a wholly owned subsidiary of Roto AG, a global company headquartered in Germany, with 13 production plants and 40 subsidiaries worldwide.For more information visit www.rotohardware.com. Rep. Devin Carney, Sen. Paul Formica and Sen. Art Linares (L-R) joined with state transportation officials and Lt. Gov. Nancy Wyman for a ribbon-cutting ceremony to mark the opening of the new 200-space parking lot at the Old Saybrook train station. 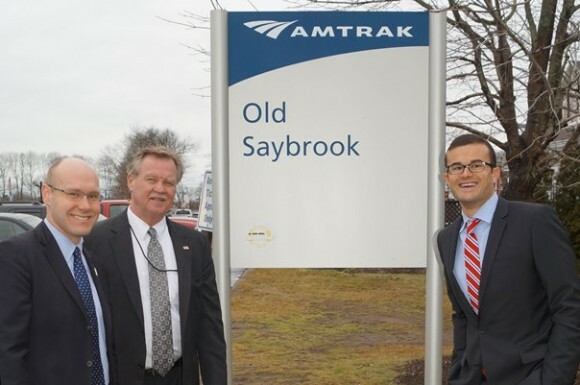 OLD SAYBROOK – On Feb. 4, the new 200-space parking lot at the Old Saybrook train station was officially opened with a ribbon-cutting ceremony with Lieutenant Governor Nancy Wyman, state DOT Commissioner Jim Redeker, and local elected representatives. With the 200 new parking spaces, there are now 324 parking spaces at the station available to commuters, free of charge. 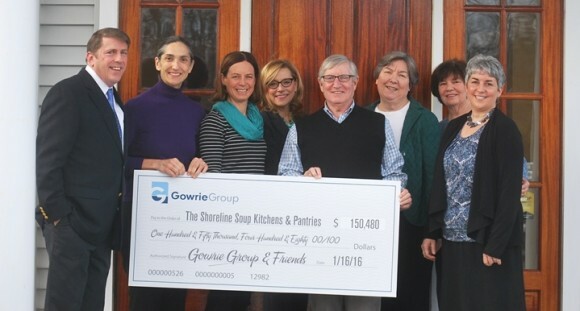 The Gowrie Challenge raised over $150,000 in 2015 for Shoreline Soup Kitchens & Pantries. Shown (L-R): Ed Gumbrecht, Gowrie Group; Patty Dowling, SSKP executive director; Whitney Peterson, Gowrie Group; Lindas Dillon, Gowrie Group & SSKP board; Carter Gowrie; Rev. Martha Bays, SSKP board chair; Barbara Whitcher, SSKP board; and Claire Bellerjeau, SSKP. AREAWIDE – The results are in for the 2015 Gowrie Challenge. This was a record-breaking year — more than 400 businesses and individuals raised more this year than ever before: over $150,400. Over the past 12 years, the Gowrie Challenge has raised over one million dollars for the Shoreline Soup Kitchens & Pantries (SSKP). 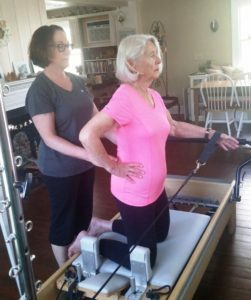 Surpassing this “Million Dollar Mark” was possible through thousands of contributions given since 2004 by caring and committed members of the shoreline community. 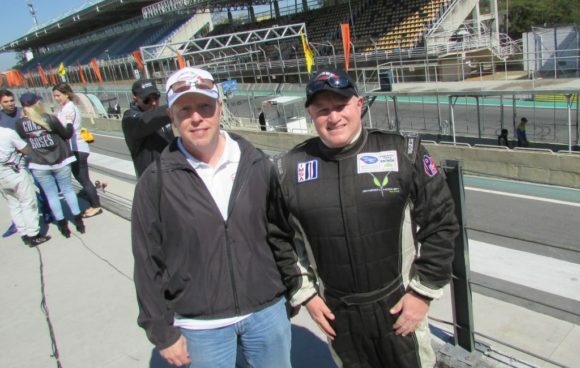 This year’s goal was achieved with the combined effort of many, including “Partner Sponsors” L.C. Doane (Ivoryton), Safety Zone (Essex), Lenny & Joe’s Fish Tale (Westbrook and Madison), the Tariq Farid Foundation (Wallingford), and Tower Labs (Essex). The Challenge also had generous media sponsors – Shore Publishing and WLIS/WMRD – helping to spread the word about hunger on the shoreline. Once again this year two special community events raised additional funds for the Challenge – the Benefit Concert at The Kate and the “Ahavah” ballet by the Christian Academy of Dance. Most important, the 12th Annual Gowrie Challenge funds will provide enough food for more than 385,800 meals. This nutritious food will fill the shelves at SSKP’s five weekly pantries, and will be given to those who are struggling to feed themselves and their families. 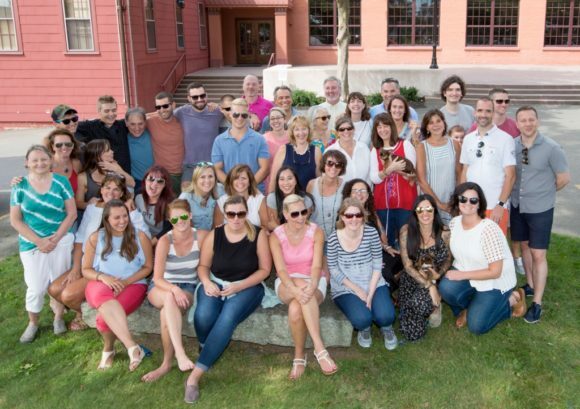 Gowrie Group and the Shoreline Soup Kitchens & Pantries are proud of all that they have accomplished in the past 12 years of partnership, and both look forward to continuing the annual Gowrie Challenge in future years. 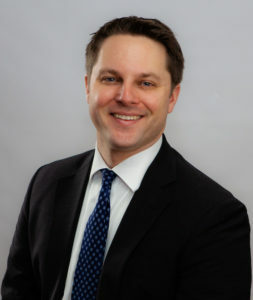 Shawn P. Honan, CPA, has been named one of 13 ‘New Leaders in Banking’ for 2015 by the Connecticut Bankers Association. Honan is entering his 25th year at Essex Savings Bank — starting as an Accounting/Operations manager, Honan has worked his way up through the management ladder of Essex Savings Bank to the point where he is now Senior Vice President, Treasurer, and Chief Financial Officer, and is an essential part of the four-person senior management team. He enjoys serving the community including spending 10 years coaching Little League baseball and softball while also serving as the Treasurer of the organization for most of those years and is also active both in his local church parish, including serving on the Vestry as Treasurer for four years, as well as serving the broader church throughout the state. 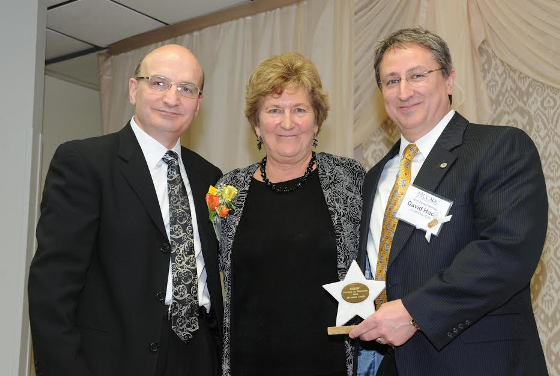 “I am proud to say Shawn has been an integral part of the success of our Bank. He is a thoughtful colleague who has helped shape our balance sheet and assisted in building a business that is sustainable. 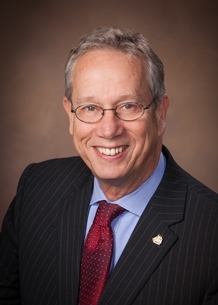 I enjoy strategizing with him and have appreciated his counsel and friendship,” stated Gregory R. Shook, President and CEO of Essex Savings Bank. 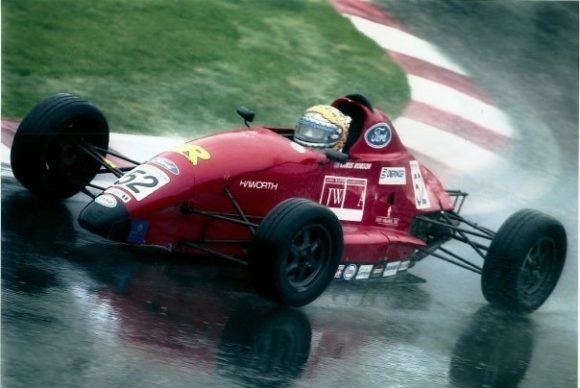 “I am honored and truly flattered to have been nominated for and chosen to receive this award. My sincere thanks to President Shook and the Board of Directors for their support and confidence in me. I consider it a privilege to serve this great institution and the financial needs of the people and businesses in our communities,” said Honan. The awards are presented by the Connecticut Bankers Association and Connecticut Banking magazine and the ‘New Leaders In Banking’ honorees were chosen by an independent panel. To be eligible, an individual must work in a Connecticut bank, be an outstanding employee, manager, or business leader and make a notable impact within their bank or community. Essex Savings Bank is a FDIC insured, state chartered, mutual savings bank established in 1851. 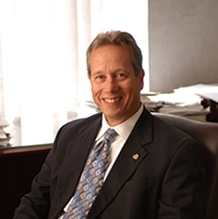 The Bank serves the Connecticut River Valley and shoreline with six offices in Essex (2), Chester, Madison, Old Lyme and Old Saybrook providing a full complement of personal and business banking. Financial, estate, insurance and retirement planning are offered throughout the state by the Bank’s Trust Department and wholly-owned subsidiary, Essex Financial Services, Inc., Member FINRA, SIPC. AREAWIDE — Gregory R. Shook, President & Chief Executive Officer of Essex Savings Bank has announced that $110,000 will be made available for the Bank’s Community Investment Program during 2016. Over the course of the past 20 years the Bank has annually committed up to 10 percent of its after tax net income to qualifying organizations within the immediate market area consisting of Chester, Deep River, Essex, Lyme, Madison, Old Lyme, Old Saybrook and Westbrook. The program has provided financial support to well over 200 non-profit organizations who offer outstanding services to the ever-increasing needs of our communities. At the close of 2016 a total of over $4.1 million will be distributed. Essex Savings Bank is pleased, in its 165th year of service to the community, to again offer customers the chance to determine 30 percent of the fund allocations by voting directly for three of their favorite causes, charities or organizations who have submitted applications to participate. Ballots will be available at all Essex Savings Bank Offices between Feb. 1 and 29 to determine the customer allocation of funds. The remaining 70 percent will distributed by the Bank’s Directors, Senior Officers, Branch Managers and Essex Financial Services, Inc., the Bank’s wholly-owned subsidiary. Act II Thrift Shop, Inc. * APK Charities Corporation * Bikes For Kids, Inc. * Brazilian and American Youth Cultural Exchange (BRAYCE) * Bushy Hill Nature Center * Camp Hazen YMCA * Cappella Cantorum, Inc. * Chester Historical Society * Chester Land Trust * Community Music School * Con Brio Choral Society, Inc. * The Connecticut River Museum at Steamboat Dock * The Country School, Inc. * Deacon John-Grave Foundation, Inc. * Deep River Ambulance Association, Inc. * Deep River Fire Department, Inc. * Deep River Junior Ancient Fife & Drum Corps, Inc. * Deep River Land Trust, Inc. * Dog Days Adoption Events, Inc. * E.C. Scranton Memorial Library – Madison * Essex Community Fund, Inc. * Essex Elderly and Affordable Housing, Inc. * Essex Elementary School Foundation, Inc. * The Essex Fire Engine Company No. 1 * Essex Historical Society, Inc. * Essex Land Trust, Inc. * The Essex Library Association, Inc. * Essex Winter Series, Inc. * Forgotten Felines, Inc. * Friends In Service Here (F.I.S.H.) * Friends of Hammonasset, Inc. * Friends of Madison Youth, Inc. * Friends of the Chester Public Library, Inc. * Friends of the Deep River Library * High Hopes Therapeutic Riding, Inc. * Hope Partnership, Inc. * Ivoryton Library Association * The Katherine Hepburn Cultural Arts Center, Inc. * Literacy Volunteers – Valley Shore, CT, Inc. * Lyme Ambulance Association, Inc. * Lyme Art Association, Inc. * Lyme Consolidated School Parent-Teacher Organization (PTO) * The Lyme Fire Company, Inc. * Lyme Land Conservation Trust, Inc. * Lyme-Old Lyme Safe Graduation Party, Inc. * Lyme Public Hall Association, Inc. * Lyme Public Library, Inc. * Lymes’ Elderly Housing, Inc. (Lymewood) * The Madison ABC Program Incorporated * Madison Ambulance Association, Inc. * Madison Historical Society, Inc. * Madisons Nite In Hand, Inc. * Maritime Education Network, Inc. * Musical Masterworks, Inc. * Old Lyme Fire Department, Inc. * Old Lyme Historical Society, Inc. * Old Lyme Land Trust, Inc. * Old Lyme-Phoebe Griffin Noyes Library Association * Old Lyme Rowing Association, Inc. * Old Lyme South End Volunteer Ambulance Association, Inc. * Old Saybrook Fire Company Number One, Inc. * Old Saybrook Historical Society * Old Saybrook Land Trust, Inc. * Pay Forward, Inc. * Pet Connections, Inc. * Region 4 Education Foundation, Inc. * Ruth Ann Heller Music Foundation * SARAH, Inc. * Shoreline Soup Kitchens & Pantries, Inc. * Simply Sharing, Inc. * Sister Cities Essex Haiti, Inc. * Tait’s Every Animal Matters (TEAM) * Tri-Town Youth Services Bureau, Inc. * Valley Baseball-Softball Booster Club, Inc. * Valley Shore Animal Welfare League * Valley-Shore YMCA * Vista Vocational & Life Skills Center, Inc. * Westbrook Project Graduation, Inc. * Westbrook Youth and Family Services, Inc. * The Woman’s Exchange of Old Lyme, Inc. Essex Savings Bank is a FDIC insured, state chartered, mutual savings bank established in 1851. 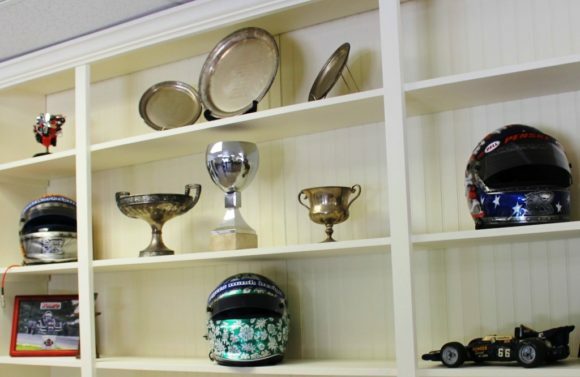 The Bank serves the Connecticut River Valley and shoreline with six offices in Essex (2), Chester, Madison, Old Lyme and Old Saybrook providing a full complement of personal and business banking. Financial, estate, insurance and retirement planning are offered throughout the state by the Bank’s Trust Department and wholly-owned subsidiary, Essex Financial Services, Inc., Member FINRA, SIPC. CHESTER – Two Chester-based businesses – Roto Frank of America and The Pattaconk 1850 Bar & Grille – are teaming up to host a blood drive on Wednesday, March 16 at Roto Frank of America on 14 Inspiration Lane in Chester. Coordinated by Sue Lemire, HR/General Accounting Manager at Roto Frank of America, the blood drive, which will run from 9 a.m. to 1:45 p.m., is open to anyone who wishes to donate.  Limited amount of donation appointments available, promotion is first come, first serve. Blood donors are literally lifesavers as donated blood is critical to medical successes, especially emergencies. A single hour-long donation can potentially save three lives. To schedule an appointment for donation, call 1-800-RED CROSS (800-733-2767) or visit www.redcrossblood.org.